Note: To book please call Saga on 0800 302 9753. 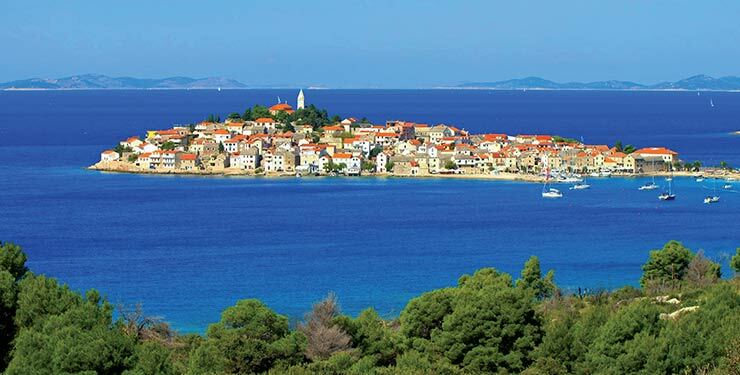 Cruise along the Croatian coast to view the region's stunning scenery and architecture, including the town of Trogir. This ‘floating town’ boasts masterful architecture dating back more than 2,000 years. You will also cruise the Split Riviera and visit the historic Diocletian's Palace in Split. Day 2: Trogir-Skradin and Krka National Park. Day 3: Sibenik and Skradin-Zadar. 2) Offer is only applicable for selected departure dates. 3) All prices are £’s per person based on two people sharing a Lower deck cabin and may only be available for a limited number of bookings. 4) Prices may change and current prices will be confirmed at time of booking. 5) A reduction of £20 applies if you do not need the optional travel insurance. 6) Flights are from Gatwick to Split, on the scheduled services of Croatian Airlines. 7) This offer cannot be combined with any other special offers. 8) To book, please call Saga Holidays on 0800 302 9753. 9) Saga reserves the right to amend or withdraw any offers without prior notice.